Mobile banking Trojans hit the list of cyber-headaches in Q2 2018. The number of installation packages for mobile banking – modifications which help attackers avoid detection by security solutions and to expand their arsenal – peaked at over 61,000. This represents a historic high; more than a three-fold growth when compared with Q1 2018, and over double the installations than in Q1 2017. This is just one of the main findings from Kaspersky Lab’s Q2 IT threat evolution report. Mobile banking Trojans are one of the most infamous type of malware, as they are designed to steal money directly from mobile users’ bank accounts. This type of attack is attractive to from all over the world, looking for an easy profit. The malware is typically disguised as a legitimate app, to lure people into installing it. Once the banking app is launched, the Trojan displays its own interface overlaying the banking app’s interface. When the user inputs credentials, the malware steals the information. 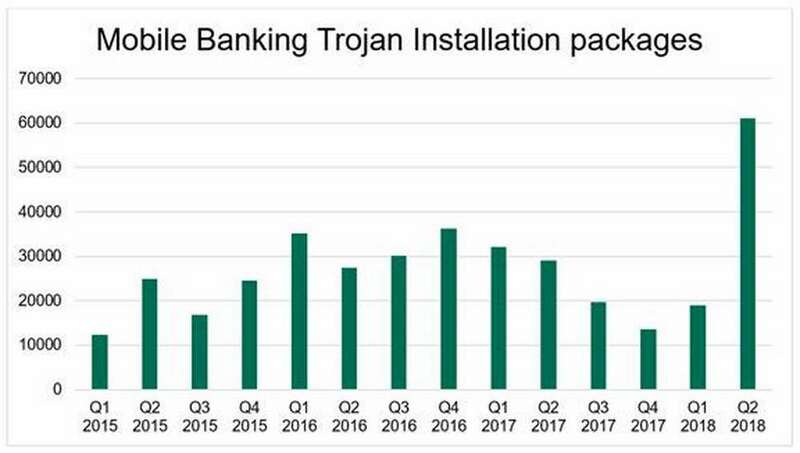 The second quarter of 2018 experienced a massive influx of these types of Trojan at 61,045, which is a historic high in all the time that Kaspersky Lab has been observing such threats. The greatest contribution to the number was made by the creators of Trojan Hqwar, with about half of the new modifications discovered relating to this malware. Trojan Agent took second place with around 5,000 packages. In Q2 2018, the top three countries with the biggest share of users attacked with mobile banking malware as a proportion of all users attacked with any kind of mobile malware, was the following: USA (0.79%), Russia (0.7%), and Poland (0.28%). Russia and USA changed places compared with Q1 2018, while Poland jumped from 9th place to 3rd – mainly due to the active distribution of Trojans.AndroidOS.Agent.cw and Trojan-Banker.AndroidOS.Marcher.w modifications. According to Kaspersky Lab experts, such high numbers could be part of a global trend for mobile malware growth, as the overall number of mobile malware installation packages also increased by over 421,000 compared to previous quarter. “There is a great cause for concern regarding mobile security, judging by our evaluation of the threat landscape in the second quarter of this year. Cybercriminals are constantly creating new modifications to their malicious software, to make it more sophisticated and discreet – and thus harder for cybersecurity vendors to detect. This is demonstrated by the overall growth in mobile malware installation packages, specifically around banking. This is yet another wake-up call for the industry. 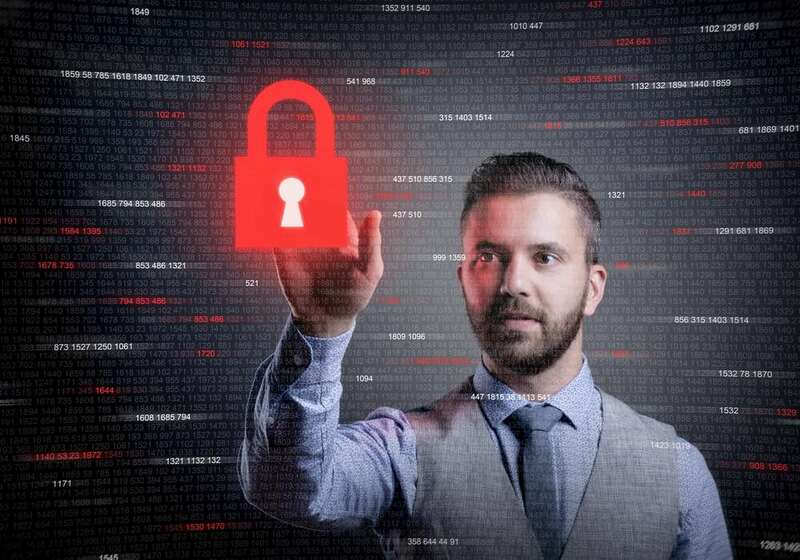 Consumers should be vigilant and extremely cautious, especially in the coming months, as the trend continues to grow,” says David Emm, Principal Security Researcher at Kaspersky Lab. · Kaspersky Lab mobile security products also detected 1,744,244 malicious installation packages (almost 32% growth against previous period). · Do not perform the rooting procedure of the device that will provide cybercriminals with limitless capabilities.